Top 10 Tips – How to get Tomorrowland & Glastonbury Tickets! With festival season around the corner, I thought my next post should be a festival FAQ which can answer a handful of questions I get asked either at or leading up to a festival. I remember the lead up to my first festival, I had no clue what I was doing. I googled about a million things, watched tons of videos on YouTube and trawled through blogs to find out the answers to what I thought were probably very obvious questions. I wanted to give you as many answers as I could all in one place, as well as provide a platform where you could ask me questions, no matter how obvious you think they might be. So, let me hold your hand and help you prepare as you take the plunge to booking your first, third or hundredth festival so you can have an easier, more fun and worry-free festival experience! Are all festivals quite similar? No! Every single festival is different, that’s what makes them so incredible. They all have a different vibe, a different culture and attract very different crowds. This is why I started this blog! With so many options and with all festivals being so different how can you possibly know which to go to? No. Festivals are not cheap, but I do think they are great value for money. Most gig tickets (in London at least) cost upwards of £80 per person. For that, you get to see one artist with perhaps a supporting act, for a couple of hours in a set seat. Festival tickets are around £200, but for that, you get several days of music, numerous big-name-artists, you can sit or stand wherever you want and you get the whole incredible festival atmosphere! This massively depends on the festival. But a rule of thumb, take wellies to any UK festival (I’m not a pessimist, I’m just prepared) and normally you can wear whatever you want. Festivals are a safe place in terms of being bold with your outfits and makeup. Fancy dress, drag, alternative clothing and the plain weird is all the norm and it’s amazing, everyone lives by the saying ‘anything goes when it comes to clothes’. Coachella – Boho chic with plenty of florals, lace, fringing and copious amounts of glitter and face gems. Wilderness – Feathers, fur, sequins, studs and vintage threads. Bestival – Fancy dress, varsity style jumpers, retro vintage, denim, and wellies. As you can see, everywhere is very different. Main advice, check their website, have a look through their photo gallery and see what people are wearing OR do your own thing! Festivals are so great for people being able to wear whatever the hell they want. (Unfortunately, this includes men in mankinis… entertaining but never ok). Regardless of the festival though, be comfortable. Wear something you are comfortable to be in all day, and DO NOT WEAR HEELED SHOES! Do you have to camp? Not always. Most festivals have campervan and caravan specific sites and even glamping areas. Some even have huts, cabins and other ‘posher’ teepee style areas to stay during the festival. But, local hotels and Air B&B is also another great choice if camping isn’t your style. Don’t let the thought of having to camp stop you from going to a festival. Alcohol, is it a must? Absolutely not! Festivals offer a huge range of drinks and for those that want to indulge, they can. But with so many non-alcoholic options at a festival, drinking isn’t and shouldn’t be the be-all-and-end-all, plus I can assure you those that don’t drink will have just as much fun (and will have a much more pleasant morning after!) I have even heard of some events and smaller festivals offering wristbands to those that are T-Total or designated drivers to offer them cheaper soft drinks. So, do enquire about this at the festival information stand or at the bar, just in case that diet coke could be slim on the purse strings as well as the waistline. I’m a vegetarian/vegan, are there decent food options for veggies? Festivals in recent years I have noticed, are really improving the variety of vegetarian food on offer. Most places have the standard falafel, chips etc (yawn, boring) but loads now have vegan sushi, pho rice bowls, veggie burger stalls and vegan mac and cheese stands! Tomorrowland even had dairy free stalls for those that wanted or needed dairy free options! Of course, it’s very dependent on the festival and all differ greatly from one another. Wilderness and Tomorrowlands I have found the best for providing a huge range of delicious veggie food options. Are festivals safe? Does stuff get pinched from your tent? I will be honest, there are always people who have to ruin it for others and I have been at festivals where people have had things stolen or been pick-pocketed. It happens, sorry! But being aware of it just means you can take things into your own hands to ensure you stay as safe as possible. I will be writing a post all about staying safe at a festival, so keep your eyes open for that. Don’t take your most prized possessions with you, but saying that they are only things. Enjoy your time and wear what you want just don’t take anything you would be sad to say goodbye to if some prat decided they wanted to take it. So many people I see put padlocks on their tents, I can see it being appealing as a deterrence, but all I think is, ‘wow what are they locking away?’ Tents are thin as anything and can but cut open easily, a padlock therefor won’t keep out a keen thief and just draws the wrong attention. I always try and purchase a locker at a festival if they have them. They cost extra (normally around £15-20 for the whole weekend) but I think its money well spent. If you have car keys, extra cash, passports or speakers etc then locking them away while you’re in the arena just gives you peace of mind and allows you to relax and enjoy your day. What do I need to pack? A day bag/backpack or handbag. I have a disability, can I still attend a festival? Of course! Most festivals now have special provisions for those with a disability. There are normally wheelchair friendly viewing areas for the main stages and many offer free tickets to carers or those providing assistance. As with any festival, I would check on their website for information about specific needs you might have, but most try and accommodate everyone. That being said, not all festivals have hard paths, most have grass so shingle which for wheelchairs can be more difficult. I have always seen people in wheelchairs at festivals so my advice would be to look on their website and contact festival organisers to ensure you can attend and enjoy your festival worry free! 10. I’m under 18, can I still go to a festival? Each festival has their own policies regarding age and entry. Some festivals I have been to are strictly Over18 only, Tomorrowland is one of them. Others like Bestival, Wilderness, V Festival etc allow Under18’s but they must either exit the main arena by a certain time, wear a specific wristband indicating they are underage (probably more for the bar staff) or in most cases, have to be accompanied by a full paying adult. My advice, go to the website of the festival you are looking to attend and check their individual policies just in case. I can’t find someone to go with, can I just go alone? Yes! Festivals are amazing places to find and make new friends. I have been to loads of festivals and at the end have always left with phone numbers or Facebook friend requests. Lots of festivals have areas dedicated to solo travelers which enable you to meet others going it alone. Most of the time people are really friendly and welcoming at festivals, and are embracing all festival cultures, which includes sharing a beer or two with a stranger. I don’t recognise anyone playing or performing, should I go anyway? Yes! Some of my favourite bands came from when I stumbled across them at a festival. I have gone to festivals where I have known a couple of the headliners but no one else and LOVED IT. Going without knowing who is playing can actually be beneficial as you’re not rushing from one tent to another to catch the artists you have spent all morning putting into a strict schedule. You actually end up seeing more of a variety of artists and bands that you could have otherwise overlooked. Can I take my own food and drink, or do I have to buy everything there? Definitely, take your own! All festivals allow you to take your own food drinks into the campsite at least, even if you can’t take it into the arena. Taking your own food and alcohol or soft drinks will not only save you a lot of money, but it’s also nice to have things you know you like to eat and drink at a festival. I always, always take my own food and drink. I pre-make granola bars or energy balls and take my own alcohol to have at the campsite (I’m not made of money!) Most festivals have restrictions on how much alcohol you can take with you, saying you can bring ‘enough for personal consumption’ – interpret that how you will… All festivals (or all I have been to at least) do not allow you to take alcohol into the arena, you have to buy it from designated bars once inside. This can be expensive, so have some pre-drinks to set you off or be prepared to pay pub prices for your pint or vino. I hate drugs, think they are an absolute waste of time and can’t understand why anyone wants to put such utter crap into their body, but hey rant over… Drugs, unfortunately, are a common thing at a festival, they happen, are around, and for some are an essential part of their experience, (what a shame I say to that). Festivals are getting stricter with their anti-drug policies. All festivals operate with bag searches and even sniffer dogs to try and crack down on those bringing drugs with them to a festival. Some (Tomorrowland) even have random strip searches at the arena entrance, so if your thinking of bringing drugs with you, don’t bother, why risk getting your ticket taken away over drugs…. waste of time. Just because others are taking or buying drugs doesn’t mean they are an integral part of enjoying a festival. THEY MOST CERTAINLY ARE NOT! Drugs are seen here, there and everywhere so do be prepared for that. If you’re going to a festival as a family or with children, I would recommend camping in designated family campsites to avoid camping near or next to people experimenting with drugs. What is your biggest piece of advice when going to a festival? Embrace it! Festivals are the time to try new food, see bands you have never heard of, meet new people and just enjoy it! So many people spend ages working out a strict schedule and spend all their time at the main stage. Walk around and spend time exploring and I guarantee you will find some incredible new bands and have the most wonderful festival experience! So there you go… a handful of the questions I get asked or wanted to know myself before taking the plunge and booking my first festival. If you have a question I haven’t answered then ask away…. leave a comment or message me on my Instagram or Facebook page! 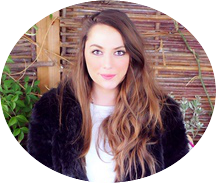 That Festival Blogger is all about providing advice and inspiration for those looking to take the plunge into the festival world. Have a browse through my own experiences, read my advice, and get tips on getting the most from your festival! Really great and informative post. We would love you to do a guest blog about festival makeup/glitter faces and gems on our blog. Let me know if you would be interested. Quality writing and spot on! Just about to go and read your makeup blog bit! Hi, would love to discuss this with you further. Please feel free to email me at thatfestivalblogger@gmail.com where we can chat about this opportunity more. A festival and travel blogger exploring the world one step at a time. I have been to some of the best and biggest festivals in the world, so I wanted to provide advice and inspiration for those looking to take the plunge into the festival world. Don't miss out on new and exciting content! Follow me. Please note that some images used on this site are stock images. Any that require accreditation have been accredited.